iPhone. 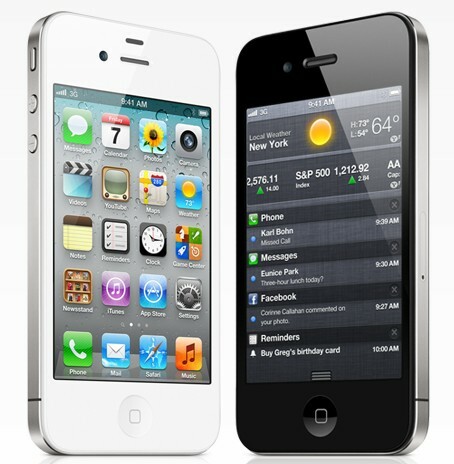 A few weeks ago the iPhone 4S arrived, and there was general disappointment as it did not meet a lot of the expectations. Still it was a solid upgrade bringing a dual core 800MHz processor, more powerful graphics processing unit, and a much improved Sony built 8MP camera. What seems to have caused the most excitement is SIRI, a virtual assistant software that allows you to manipulate your phone using your voice. I am not too sure I am too excited about this part. One thing people were expecting was a newer sleeker case. In truth the iPhone did need some kind of upgrade to its case, even if they did not change the appearance. The iPhone 4 case was a bit on the fragile side, and the same is true for the nearly identical iPhone 4S case. How fragile, watch the video in this link. iPhone 3GS owners waiting for whose two year contracts have ended will be satisfied enough upgrading to this unit, or even to an iPhone 4 which is really worlds away from the iPhone 3GS..
For iPhone 4 owners, well it is probably better to wait. There really are no worthwhile apps that wont run on the older iPhone 4, so while the iPhone 4S is faster, it really wont make much of a difference. For now, the only real major advantage of the dual core processor on the iPhone 4S is 1080p video recording. Nexus. Earlier this week, the Google Galaxy Nexus arrived, and this one met people expectations. Many were hoping for 300MHz more and 3 megapixels more on the camera, but really no software out today really needs anything even close to the power provided by its 1.2GHz dual core processor. The 5MP camera, is really up to par with most of the 8MP camera's you will find on other phones. It will come in both HSDPA+ 21.1 and LTE versions. And really, with the 4.65 inch 720p HD screen (720 x 1280) Super AMOLED screen, you could pretty much put anything under the hood and people probably would not have noticed. That is one amazing display. 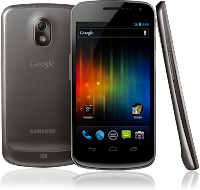 The new version of Android which this phone launched, Android 4.0 (Ice Cream Sandwich) also did not disappoint. Sun. In a weeks time, it is Nokia turn. Nokia flagship will be the Nokia 800, or the Nokia Sun. It will be built on the same case as the Nokia N9, which is a good thing because every review of it I have read has praised the case and build quality and it looks really nice. Specifications wise, this phone wont be anywhere near Apple's iPhone 4S or Google Galaxy Nexus. 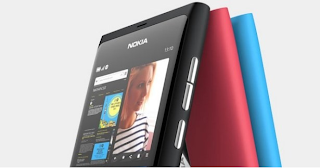 Nokia's first Windows Phone, will run a single core processor clocked at 1.4GHz. Being single core it cannot do 1080p video recording and playback. Like the iPhone 4S there is no HSDPA+ 21,1 mbps or LTE option. The screen is a relatively small, by todays standards 3.7-inch screen, and the resolution is still limited to 480 x 800 in a world of HD, quarter HD and retina displays. It will be a AMOLED display though. Nokia finally has some luck it seems. A Nokia 800 will appear Jurassic to a hardware junkie. Put it beside a six month old or Samsing Galaxy S II or and HTC Sensation and the N800 looks like it was obsolete even before release. Never mind comparing it to the latest Google Galaxy Nexus phone. Buyers who focus on hardware, and power users who like to customize and have more control over their software, will find much more to like in an Android phone. Put beside the iPhone 4S or smaller Android, it actually looks pretty good. While the iPhone 4S has a 800MHz dual core processor, the faster 1.4GHz clock speed will convince many that the Nokia Sun is just as fast. The Nokia Sun's 480 x 800 screen resolution is lower than the 640 x 960 screen of the iPhone 4S. But the Nokia Sun does have a larger screen (just 0.2 inches) and it is an AMOLED display. People comparing the two side by side will probably find both to their liking, or find them two small in which case they will go to an Android. Nokia is known for having excellent cameras on their phones. The Nokia Sun will have a 8MP like the iPhone 4S. But with with Carl Zeiss optics, a better f/2.2 lens aperture and a dual led flash it actually should have a better camera, at least on paper. For the operating system, it comes with Windows Phone 7. This operating system has been written off by many who probably never really tried it. People will comes out to take a look at the new Nokia offering. They will finally get a real close look at Windows Phone 7, and there is a lot to like about Windows Phone 7. So, Nokia has some luck. Those in the market for the monster Droid's are not like to get interested. Depending on pricing and carrier subsidies, the Nokia Sun might compete against mid-level Android like the HTC Desire S and LG Optimus Black. Against those phones, the Nokia Sun actually has more impressive specifications. On the other hand, those contemplating something like an iPhone, would be given some reason for pause. A all new killer Apple iPhone 5 would have been a knockout blow for Nokia Sun and Windows Phone 7. With the less than stellar iPhone 4S, Nokia has a chance especially in the important markets of China and India. I do suspect the Nokia Sun will do very well in the Philippines. Apple SIRI is pretty much useless in those markets. With live tiles, and a tightly integrated social networking I for one, certainly like it more than an iPhone. A large 4+ inch version of the Nokia Sun would probably convince me to put down my Android.